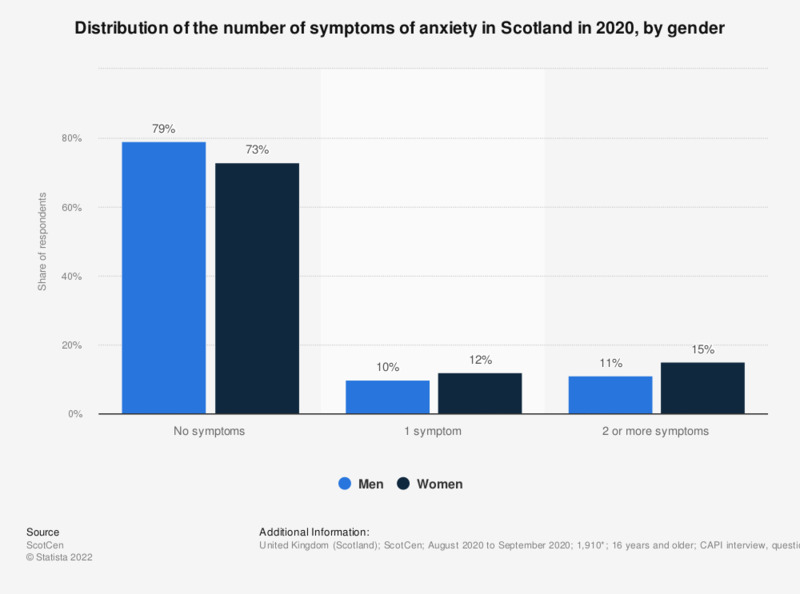 This statistic displays the number of symptoms of anxiety among adults in Scotland in 2016/17, by gender. In this year, nine percent of men and 13 percent of women had two or more symptoms of anxiety meaning their level of anxiety was of moderate to high severity. * Weighted bases: n (men)=754, n (women)=1,005. Two or more symptoms indicate anxiety of moderate to high severity. Do you provide any regular help or care for any sick, disabled or frail person?